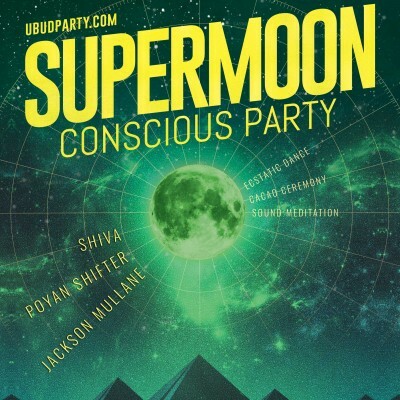 SuperMoon Conscious Party welcomes you to a unique experience to gather under the beautiful night sky with a full moon shining above. Unleash your spirit. Express your gifts. Dance to the sacred rhythm of life. Don't feel the need to hold back or dampen your spirit! This is a time to celebrate. There is a feeling of dance and joy around you at this time as you fully recognize your splendor. You are a sacred being who defies gravity every day just by being alive and brings a sense of balance and equality in the world. We start our journey with a grounding sacred Cacao Ceremony and connecting to our community which will provide the foundation for our experiences. After putting our intentions for the night into practice on the dance floor, we drop to the floor to open even further with the healing sound journey and meditation. The bonfire will be burning all night. Jackson Mullane writes deeply emotional and poignant classical piano compositions. His music ferries listeners on an imaginative and uplifting odyssey leaving them moved and inspired. Jackson was never trained classically, and so he retains a stirring quality that is usually lost to intellectualization. Pre-sale tickets are only 150k. Ticket price at the Door 200k. Get them now at Sayuri Healing Food, Muse Cafe & Art, Bali, Revive Bali New Earth shop JL Dewisita or get them online at www.ubudparty.com. Shuttle service starts at 4.30pm from Pura Dalem Puri and Bintang Supermarket and 9pm to 11pm from Akasha back to Ubud. You will receive a shuttle voucher upon taking the shuttle to Akasha, this voucher will be needed for the return ride. Return shuttle only available with a voucher!